The Chilean government has made a landmark international decision to make the waters around Easter Island one of the world’s largest protected marine areas. Chilean President Michelle Bachelet announced the decision at the Fourth International Marine Protected Areas Congress (IMPAC4) held last week in Valparaiso, Chile. According to the Atlas of Marine Protection, before the start of IMPAC4, only around 3 percent of the world’s oceans had any protections, while just 1.6 percent was strongly protected. Ms Bachelet announced that her government had officially created a 740,000km2 marine reserve around Easter Island, making it officially one of the largest MPAs in the world. Easter Island – formally called Rapa Nui – is famous for its large Moai statues and was designated a UNESCO Heritage site in 1995. Located 4,000km west of mainland Chile, the island enjoys a wealth of geological features, including the extinct volcano Rano Kau, the lake in the crater being one of only three natural bodies of fresh water on the Island. Rapa Nui also boasts a unique marine ecosystem, home to 142 species currently found nowhere else in the world. Twenty-seven of these species are threatened or endangered according to the International Union for Conservation for Nature (IUCN), including the southern bluefin tuna whose population has dramatically decreased due to overfishing. The Rapa Nui Rahui MPA will safeguard Easter Island from industrial fishing, mining, and other extractive activities within the Chilean exclusive economic zone that surrounds the island, while still allowing for local artisanal fishermen to continue with their traditional fishing practices. The decision was supported by 73 per cent of Easter Island residents in a referendum held in advance of IMPAC4 in the largest ever turnout for a such a vote on the island. Since 2014, Mesa del Mar, a coalition of more than 20 local organisations on Rapa Nui, has been engaging the community in public meetings. The coalition leaders made the initial MPA proposal to the Chilean government in 2015. 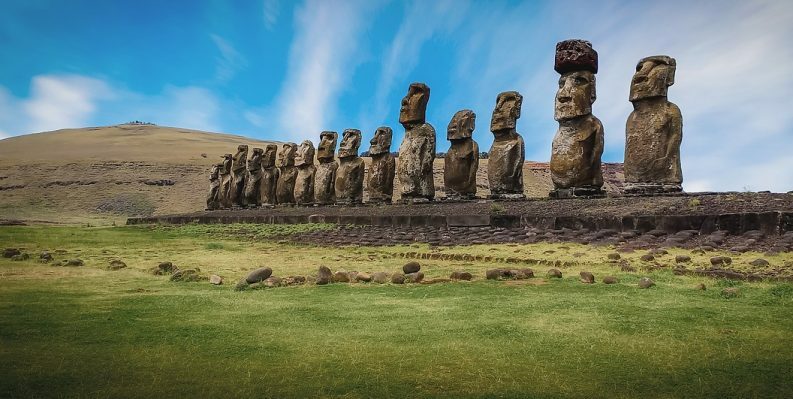 “The government of Chile believes that public participation leads to better policy with a deeper connection to those who are affected, and we were committed to consultation with the Rapa Nui,” said Marcelo Mena, Chile’s Environment Minister. According to the Pew Bertarelli Ocean Legacy Project (Ocean Legacy), which has supported the effort to establish an MPA in Rapa Nui since 2012, the designation was made possible through the leadership of the indigenous community of Easter Island. Between 2012 and 2017, Ocean Legacy conducted a series of scientific studies of Easter Island’s unique marine life, the most comprehensive scientific assessment of the island’s marine environment ever completed. “This is a historic moment for the conservation of the world’s ocean, and the protection of the Rapa Nui environment and culture,” said Matt Rand, director of Ocean Legacy. Daniel is a journalist and contributor to Green News, whose focus is on marine conservation and environmental issues. He holds a BSc (Hons) in Marine Science from NUI Galway.